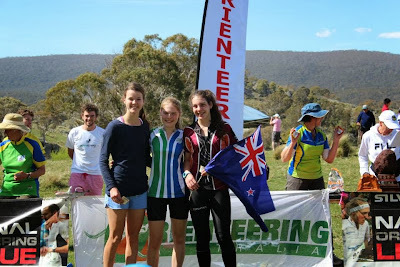 Some great results from Kiwi's racing yesterday at the Australian Long Distance Champs at Slap Up Creek. In the elites Lizzie Ingham and Tom Reynolds both crept into 3rd behind quality opposition. In the women's it was comeback queen, and former World Champion, Hanny Allston, and the talented and experienced Grace Crane that edged Lizzie, while Tom was defeated by GB international Matt Crane and top local elite Simon Upphill. Junior Nick Hann was fourth, but some distance off Reynolds. The results meant that Australia just edged out New Zealand in the Pinestars, as reported by Tom Reynolds "Thanks. Aus just beat us 81 to 78. That was with us 5 against 6". So a real shame there wasn't some practical problem solving to get another women on the elite start line. 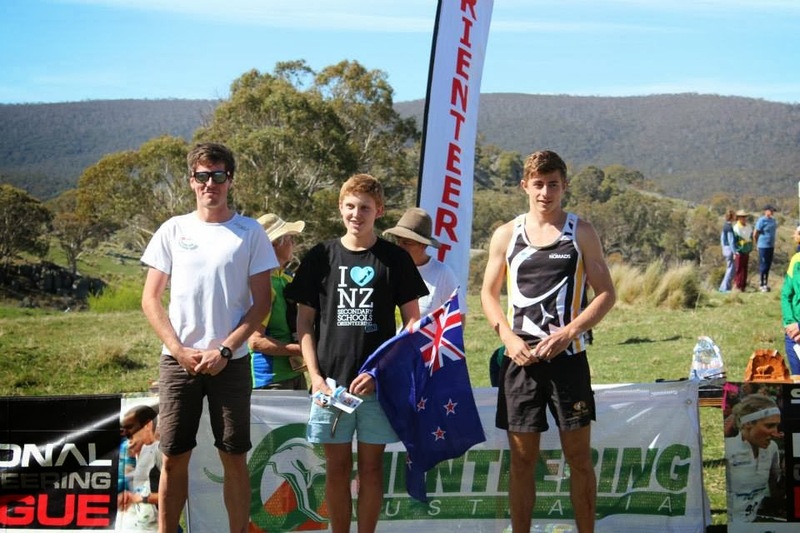 The stand-out result of the day was PAPO's Nick Smith, the mainland M18 quietly blasted away the entire Australian JWOC team to win M20E. 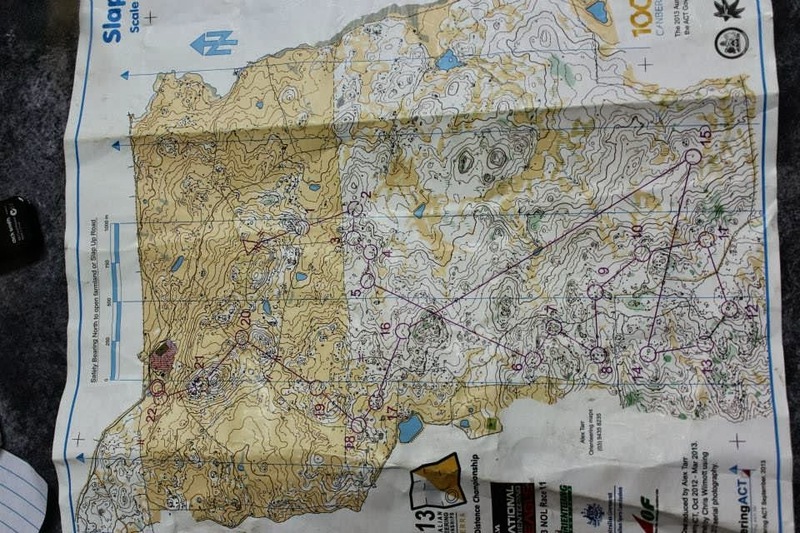 Victory over the likes of Ian Lawford and Oscar McNulty is an amazing feat for a relatively inexperienced orienteer. It appears we have another genius on the cards for JWOC 2014. Sonia Hollands stepped out of the shadows of some of her more well known colleagues to place a brilliant 2nd in W20E, in what looks like a very strong field. 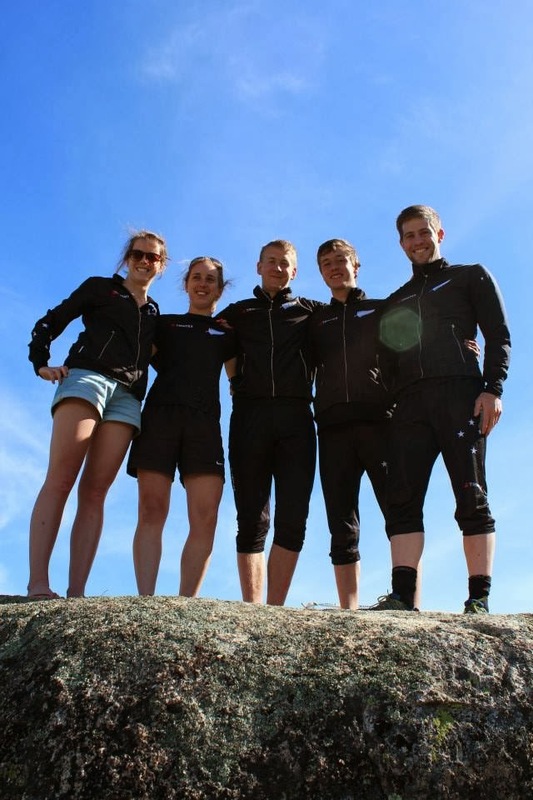 Many of the Kiwis running in this grade are still at school, and have several more years in the junior classes. But great to see the likes of Kayla Fairbairn and Vida Fox sharing around the spoils a little. Alice Tilley and Lara Molloy would also feature well in this field, but instead they chose to dominate W16A, placing 1st and 2nd. While Ed Cory Wright held 3rd in W16A. Further down there further placings from Katie Cory Wright 3rd W14 and Stephen Harding 2nd M14. Stephen Harding is Nick Hann's cousin, and he comes from the middle of nowhere in the South Island, so watch out for this man. It is also worth noting some kiwis that won veteran grades: Jean Cory Wright, Rob Jessop (back on form), Ian Holden (M80 wonder man) and Greg Barbour (the Aussie-Kiwi-Aussie). Will this be the start of a greater place for the Aussie Champs on the Kiwi orienteering calender? Perhaps other clubs might think about following North West's idea and having a club trip next September.